When you have a dirty job to do, let the shop Sweep do it. 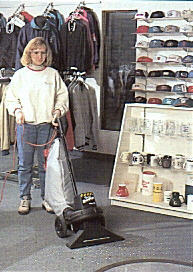 Shop Vas's Shop Sweep Indoor/Outdoor Vacuum Sweeper devours dirt, litter and debris with ease. 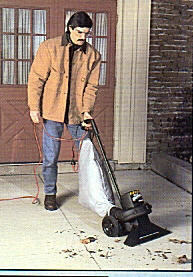 It's powerful 1.25 electric motor consumes leaves, pine needles and lawn clippings. 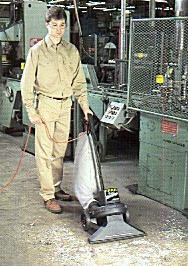 Plus heavy duty nylon impeller mulches as it cleans, creating recyclable waste for reuse around the yard. Use this Push Sweep Indoors or out. Warehouses, Malls, Dock Areas, Store Fronts, Factories, Machine Shops, Parking Areas, Sidewalks and more.